Experience one of Krabi’s natural wonder at Kao Norjuji National Park. Trek into the rainforest and through beautiful natural springs and lush tropical forest to arrive at the magical emerald pond. Arrive at Hot Spring and relax in unseen jungle bathtub with temperature about 40 -50 degrees Celsius. Good for relaxing in the hot spring. Also, the hot water pools which is created like a spa. 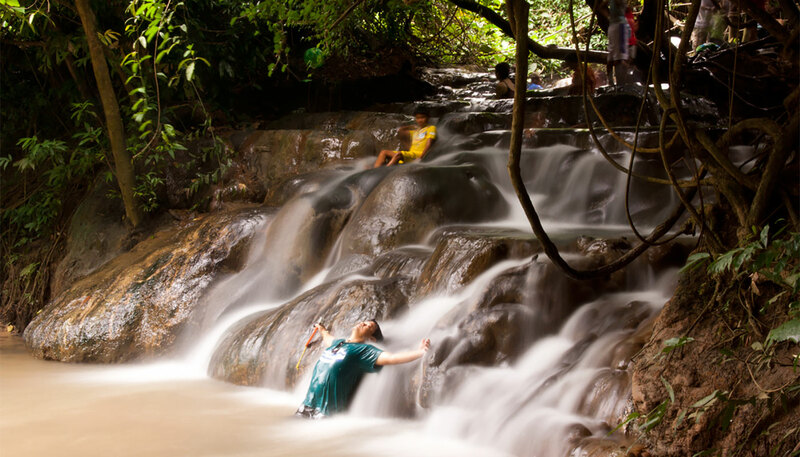 Start hiking in the rain forest which has many natural springs and pools along. The largest pool is called “Emerald Pond”. It never dries up. Tour Included: Round Trip Transfer. What to bring: Sun glasses, Hat and Camera. 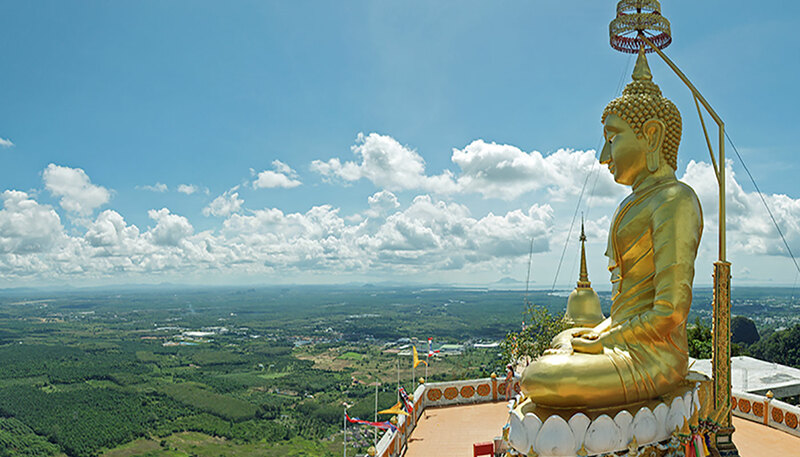 Visit two of Krabi’s most sacred temples-Khlong Tom Temple and Tiger Cave Temple and learn the history and see the antiques at Wat Khlong Tom Museum. 09:20 Visit Wat Khlongtom Museum where displays antiques and artifact from the ancient marine trade (Silk Route) dates back from the 10th – 15th century. 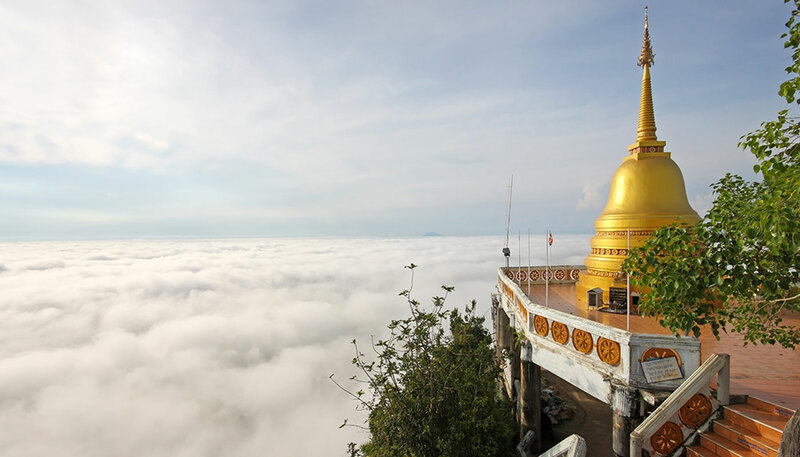 11:00 Visit Tiger Cave, which was inhabited by the last tiger of krabi, is now a famous Buddhist temple for meditation.